The capital city of India, Delhi, has been experiencing dry and cold winters so far. The last spell of rain observed over the city was around January 6. However, since then i.e. from the past 10 days, dry and sunny days barring a few occasions are being observed over Delhi-NCR region. In fact, this season, dense to very dense fog has spared most parts of Northwest India including Delhi, Gurugram, Faridabad, Noida and Ghaziabad region. Most of the time, the city has observed shallow to moderate fog during the early morning and late evening hours. However, today, Delhi recorded the visibility of about 250 meters. On an average, the city records 22 foggy days during the month of December and January. However, this season saw dense to very dense only on 6 occasions i.e. December 14, 15, 25, 26, followed by January 3,4, and 7. Moreover, due to its feeble nature, fog did not cause any kind of disruption to common man’s life this season. In fact, in the coming days also, dense to very dense fog will not make appearance over Delhi and its nearby areas. Talking about the temperatures over Delhi, in the first week of January, they remained near normal. But after that, night temperatures over most parts of Delhi dropped and on January 10 and 11, minimum was around 5˚C. Now, since the last four days as well, marginal drop in temperatures is being observed. As on January 13, minimum temperature of Delhi was 8.5˚C, followed by 8˚C on January 14, 6˚C on Jan 15, 4.5˚C on Jan 16 and 4.2˚C on January 17. At present, the minimum temperature of Delhi is about 3˚C below normal. Now in the coming days also, cold and sunny days will prevail over the capital city. In fact, temperatures will also remain unchanged and below normal for the next 48 hours. 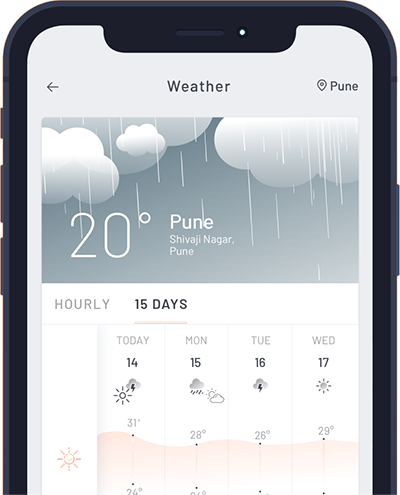 Thereafter, around January 20, in the wake of active weather systems over the northern hills and northern plains, weather conditions over Delhi-NCR will change completely. The winds will become easterly, humidity will increase, and temperatures will rise. 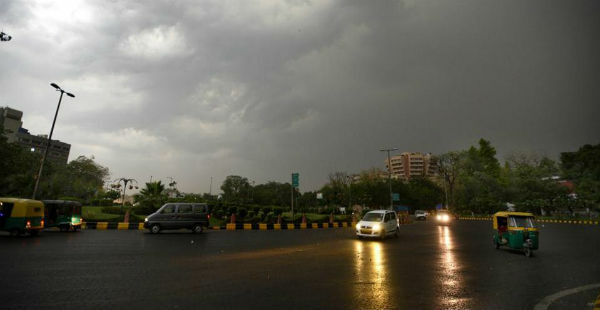 During this time, prolonged and good spell of rain and thundershower activities are likely to affect the Northwestern Plains including cities such as Delhi, Gurugram, Faridabad, Noida and Ghaziabad. Moreover, it is also predicted that these rains might cover the average monthly rains of the city, which are at present running deficient.